I can only give you estimations. The total cost was around $1,500 and total hours were around 120. I did most of the work, so both totals could have been lower if I was an experienced carpenter. Your plans provided a lot of good ideas that, as you can see, I used throughout. 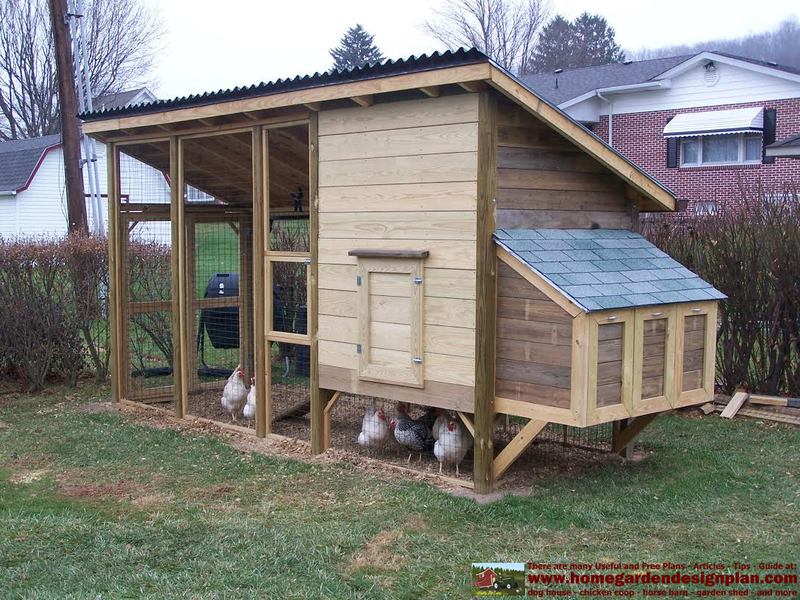 I can tell that the chickens really like the extra space and shelter from the weather. Your design also makes it really easy to clean, too. 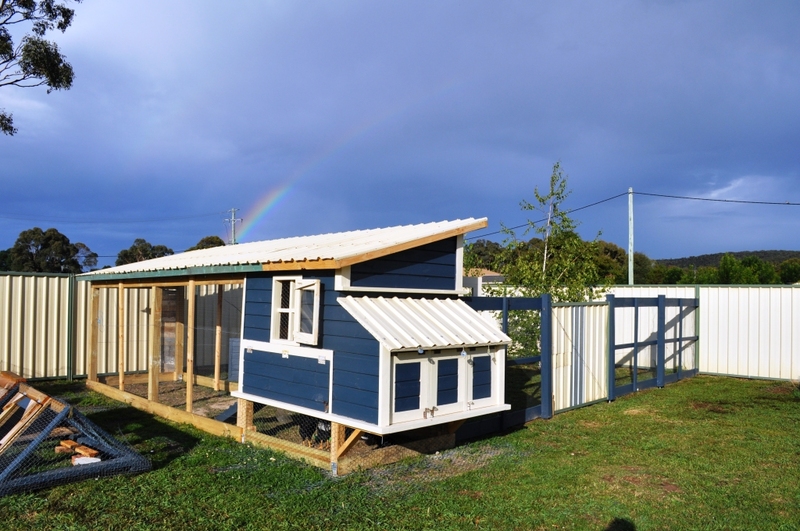 I recently completed the M101 Chicken Coop with some modifications for our hotter conditions in Australia. 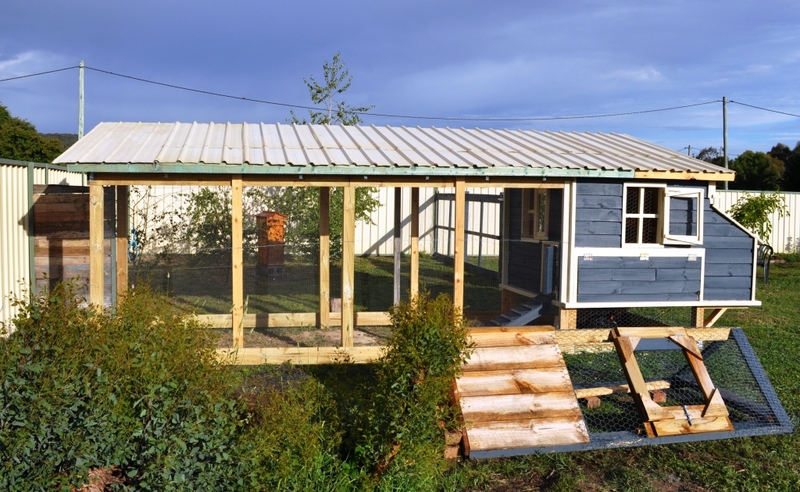 The Coop is largely completed using recycled materials – the roof used to be a fence, the wire comes from an old chicken coop and orchard, much of the wood was lying around our house when we bought it, and the bought wood was all seconds. All of the hinges etc were from demolished houses and instead of glass I used recycled Perspex from an old boat windscreen. 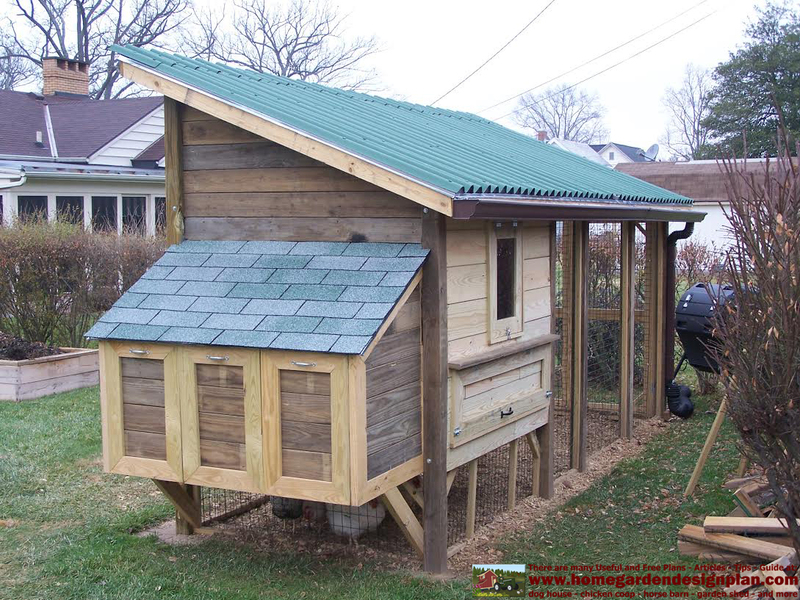 Modifications – apart from using iron instead of shingles, I used thicker insulation in the roof cavity and enclosed it using off cuts from the frames. The enclosed run is about twice as large as yours calls for and I put internal doors to the laying boxes. These doors are opened from outside using the ropes you can see. They swing down to lock overnight using two hinges at the top and some cheap cabinet magnets at the bottom. 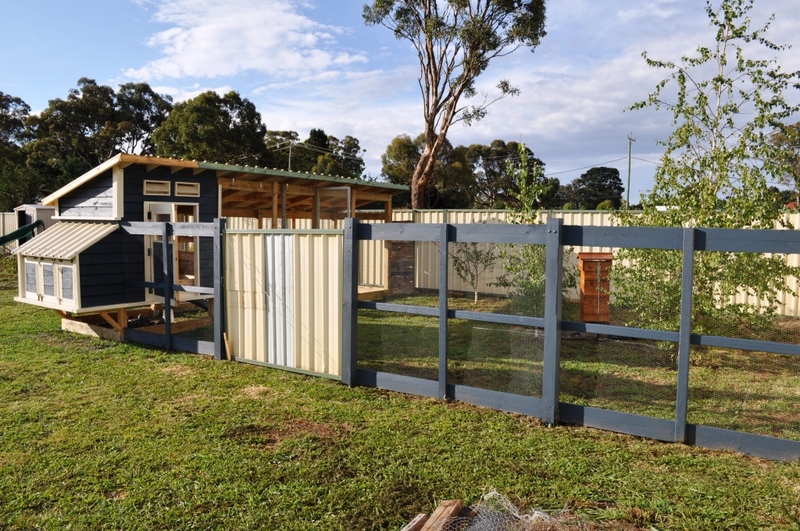 The frame and all posts are attached to stirrups embedded in concrete and there is 60cm of heavy guage sheep wire outside the coop and another 40 inside. 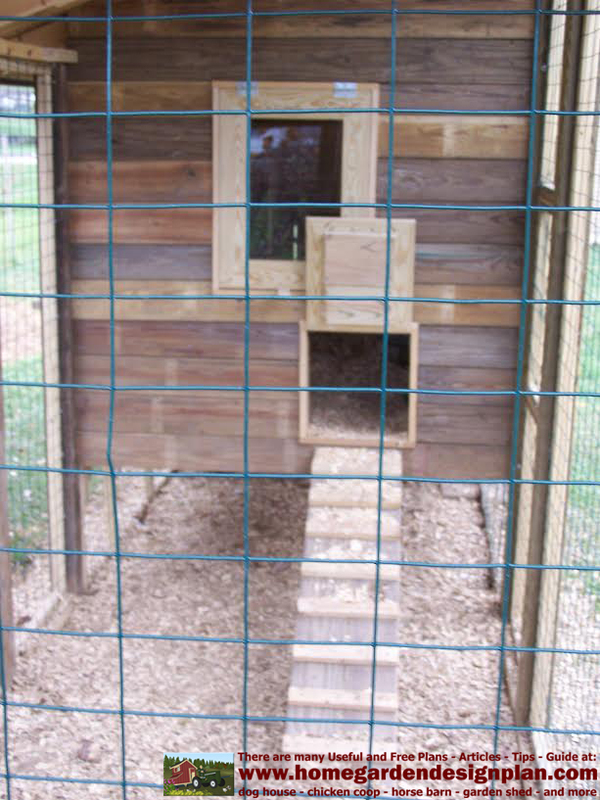 The sheep wire goes up the cage about 30cm to overlap with the chicken wire which should keep out any foxes. 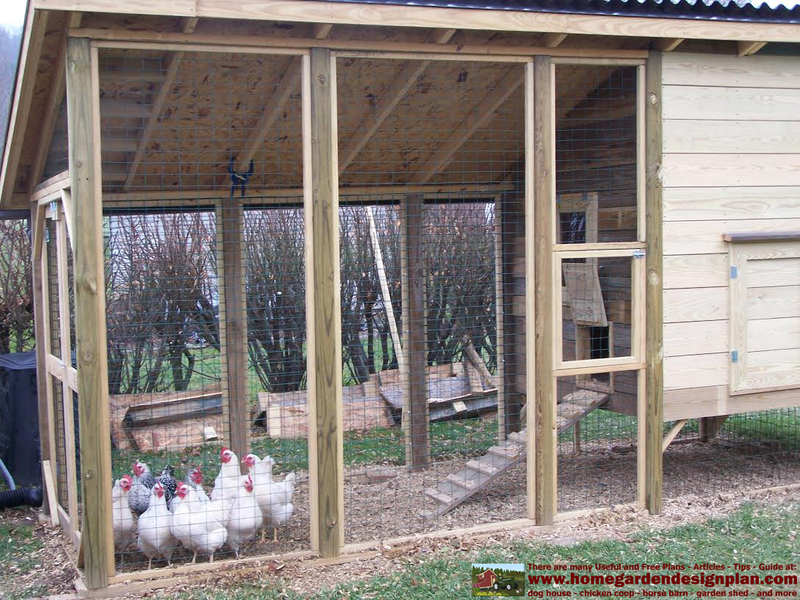 The extended chicken run allows the chickens a nice large area to roam during the day and I also keep my Warre bee hive in there allowing the chickens to help me keep the bee pests at bay. The plans were well detailed and very easy to follow. There were some errors in the measurements but I can’t remember where exactly. Measure twice and cut once and they are easy to find. This is my very first time that I am visiting here and I’m truly pleasurable to see everything at one place. Your articles are worth reading.